Buying a used car can be an intimidating process, especially when it comes time to apply for a car loan. Don’t worry because we are here to help with our car loan Frequently Asked Questions! At CarOne we take the difficulty out of the process, we believe that automotive financing should be easy. You should be in the driver’s seat, it’s that simple. We’re here to help. We’ve included answers to some of the most frequent automotive financing questions we hear below. You can also call us at 613.542.2223, or complete our online credit application. The CarOne Kingston automotive loan application process is fast, competitive, and features car loan options tailored specifically to CarOne customers. How does financing with CarOne work? The CarOne finance process is simple: Select a pre-owned vehicle that meets your needs, submit an online auto loan credit application with the help of an Experience Manager, and, if approved, decide which finance offer suits you best. Buying a car can be an intimating process, especially when it comes time to apply for a car loan. At CarOne we take the difficulty out of the process, we believe that automotive financing should be easy. You should be in the driver’s seat, it’s that simple. We’re here to help. We’ve included answers to some of the most frequent automotive financing questions we hear below. You can also call us at 613.542.2223, or complete our online credit application. Who are the CarOne financing companies? CarOne gets a little help from their friends! We offer automotive financing through Scotiabank, Royal Bank, TD Bank, Bank of Montreal and other world-class financial institutions with customized offers tailored specifically to CarOne customers. With almost unlimited auto loan options, we’ll find the best financing for you! To begin the financing process online, first find the vehicle you are interested in purchasing. Then request financing information by clicking the link found on the vehicle’s description page. Or you can get started by calling us at 613.542.2223. Check out our free Car Loan Payment Calculator to gain a better understanding of your budget and potential payment car payment amount. Credit scores are created by credit reporting agencies to help financial institutions predict risk. They are expressed as a score generally ranging from 350 – 850. In most cases, the higher your score, the greater chance you have of receiving a better financing offer. We can help with that! I have excellent credit, what can CarOne do for me? We help by offering you highly competitive terms, reduced time and effort, and a transparent transaction. I have had past credit problems, what can CarOne do for me? Our finance sources provide offers to accommodate most credit profiles. Even with past problems, you will still enjoy the same no-haggle pricing, quality, and exceptional customer service we give every CarOne customer. Many customers qualify for financing without a prior vehicle purchase. Most of the finance companies that CarOne works with will look at your credit history and application information to make a credit decision. If a normal credit determination cannot be made based on your current credit history, you may still qualify for other programs, like those for recent college graduates. Stipulations for college students vary by finance company, and may include the following: (1) Applicant has graduated from an accredited four-year university or college within the past year; (2) Applicant will graduate within the next six months and has an offer letter from an employer; (3) Applicant meets requirements for payment-to-income ratio; (4) Applicant must have no derogatory credit. Your finance rate depends on your past credit history, the type of car you’re buying, your down payment, and overall market conditions. In most cases, we can offer competitive rates from a variety of finance companies to fit nearly every budget and credit profile. The factors that impact monthly payments include the amount financed, term, and APR. Most financial institutions recommend that you spend no more than 15% of your gross monthly income on your car payment. If you make $2,000 a month you should spend no more than $300 on your car payment. Want to see what you can afford? Use our Car Loan Payment Calculator to estimate. All buyers should bring a valid province-issued driver’s licence and proof of current auto insurance. 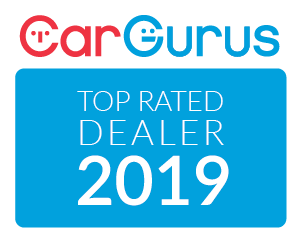 Because different financing companies may require additional documentation, you may want to contact a CarOne Experience Manager for a complete list of what you’ll need to buy a car from CarOne. Your payment options will vary depending on the company that finances your car. 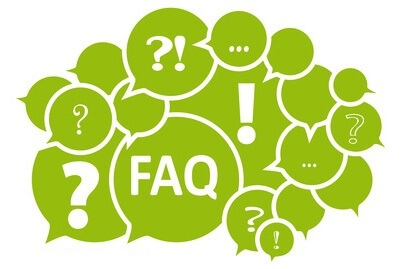 For information on your payment options, please speak with a representative of your finance company.If you want to secure a vehicle that suits you we offer payment online that will give you first right of refusal to that vehicle once you have seen it and test driven it. What’s the first step to purchasing a vehicle at CarOne? When you find the car you’re looking for at CarOne, the first step to guaranteeing purchase is a deposit. The deposit is $500 and gives you 7 days exclusive rights to the car. What if I don’t end up buying the car, what happens to my deposit? 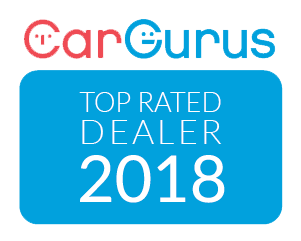 Our aim at CarOne is to ensure that our vehicles will meet or exceed your expectations, or we will refund your deposit payment in full. How can I be sure my personal information is secure at CarOne? For your security, at CarOne, we do not store any credit card or credit information. We use secure third party services to ensure the privacy of all your information.